Put on your party dress or that snazzy tuxedo for a night out on Mahjong Solitaire town where you will play an all new mahjong game- Bow Tie Mahjong Solitaire! 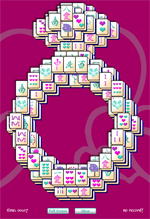 You'll be the talk of the Mahjong Solitaire town when you beat this mahjong game! There's nothing better than removing that bow tie after a night of fun and success, so take off our Mahjong Solitaire Bow Tie by eliminating all the tiles in matching pairs. 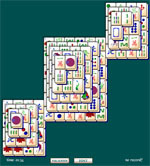 Choose the correct mahjong solitaire path to win this mahjong game. 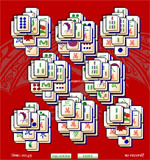 Flower and Seasonal tiles are special mahjong solitaire tiles which can be matched to any tile in their particular set. 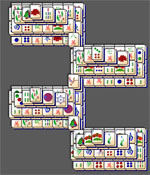 Thus, Seasonal Mahjong Solitaire tiles may be matched to any other season, just as the flowers can be matched to all other mahjong solitaire flowers.